When planning a lesson it's helpful to know approximately how long the work you set will take. 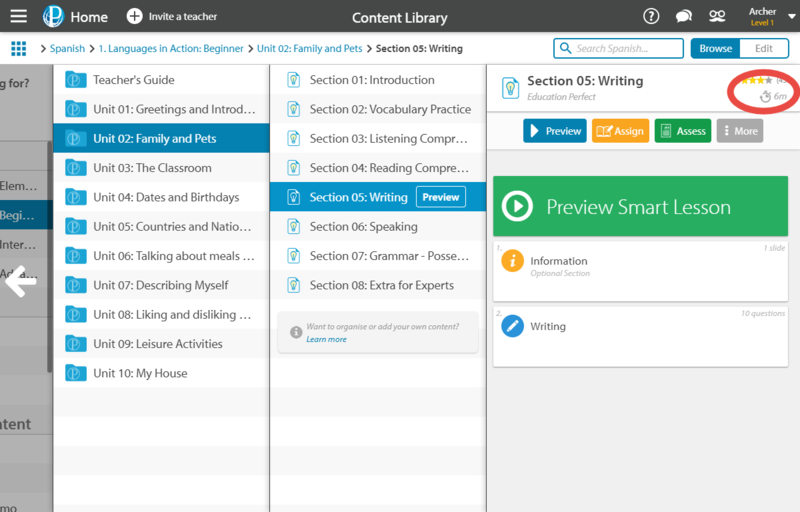 Each of Education Perfect's lists and Smart Lessons have an estimated completion time to help you with lesson planning. Additionally, while setting a task, you will be able to check the estimated completion time for individual lists and the task overall. Multiply the number of slides by 20. Multiply the number of questions by 20. Multiply the number of questions needed to complete the section by 40. Multiply the number of questions by 40. Extended Response sections Multiply the number of questions by 60. Once the first student has completed a new lesson, we use their completion time as an estimate. From there, we use the 80th percentile to estimate completion time. If you have Peer Review enabled for the task, you will need to account for the additional time that this will take. The new estimated time will be shown in the Peer Review section while setting up the task. If your students are leaving feedback using stars, an additional 2 minutes will be added to the completion time for each Extended Response question they need to review. 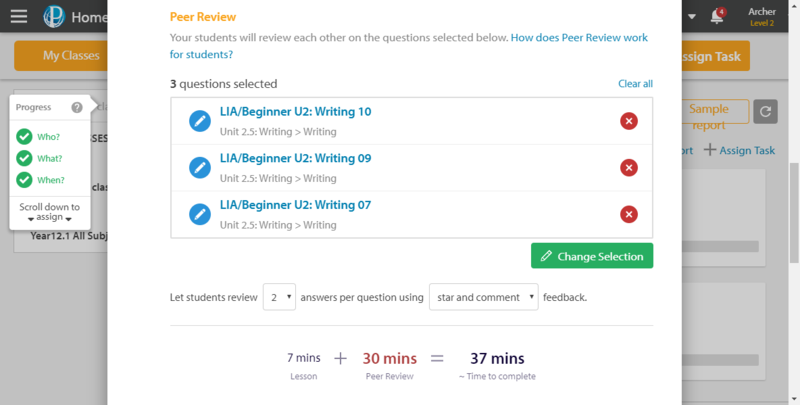 If they are leaving feedback using stars and comments, an additional 5 minutes will be added to the completion time per Extended Response question.